Hey friends! Today I am being interviewed on Brenda H. Rodgers’ blog! 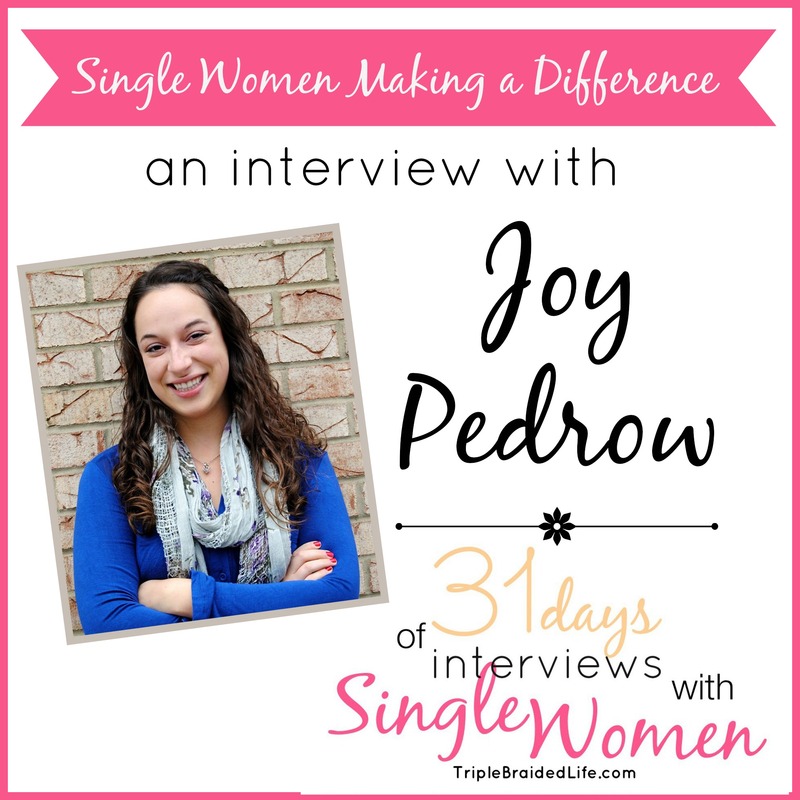 I am so excited to be a part of the 31 Days of Interviews with Single Women Making a Difference! Check out the post here! Where do you work, and how did you get started in your job? What fires you up? What are you most passionate about in your life and in the world? What is one thing you LOVE about being single and one thing you hate (or your biggest struggle) about being single? How do you feel about being a single woman? Is there more contentment and peace or more of the opposite? What is your biggest pet peeve about the way single women are perceived? This is so random.. but what kind of hair products do you use to control your curls? My hair looks similar to you and the only thing thatll work for me is hairspray. Thanks!! haha Hey Ashley! Your comment made my day. It took me years to find a product that I loved. I use Garnier Frutis. I use the curl and shine shampoo and conditioner, then when my hair is wet I use the Garnier leave in conditioner, and then in the mornings I use the Garnier curl shaping gel. I hope this helps you!